Connor McDavid, C (NHL.com rank: 1) -- The 21-year-old is the consensus top-ranked fantasy player, regardless of format, after leading the NHL in scoring in each of the past two seasons. He somehow improved his point total (108 last season; 100 in 2016-17) and was plus-20 despite the Oilers regressing drastically and missing the Stanley Cup Playoffs. The scary part is McDavid still has plenty of room for improvement in power-play points (20; Oilers ranked last in NHL at 14.8 percent) and in terms of linemate stability. Leon Draisaitl, C/RW (43) -- In a season when Draisaitl, 22, was tasked with playing center on the second line rather than flanking McDavid, the forward reached 70 points once again (77 in 2016-17). He was minus-7 with a low PPP output (11) but should have at least one young linemate with room for further growth: wing Kailer Yamamoto, 19, Jesse Puljujarvi, 20, or Drake Caggiula, 24. Draisaitl is a clear top-50 fantasy player entering this season and should go even higher in keeper leagues. Cam Talbot, G* (119) -- The 31-year-old goaltender led the NHL in starts (67), but his peripherals were mediocre at best. Despite exceeding 30 wins (31) for the second straight season, Talbot's peripherals (3.02 goals-against average, .908 save percentage, one shutout) were nowhere near his 2016-17 season (42 wins, 2.39 GAA, .919 SV%, seven SO), when he finished among the top five fantasy goalies. But with Talbot entering a contract year (he can become an unrestricted free agent after this season), his bounce-back potential should not be underestimated; he can be a huge steal if available outside the top 100. 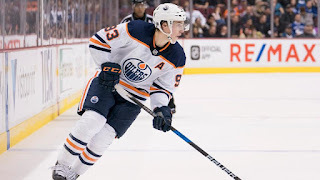 Ryan Nugent-Hopkins, C (136) -- The 25-year-old has three seasons of at least 52 points but took his performance rate to a new level when given a trial on McDavid's line down the stretch. After returning March 3 from a rib injury, Nugent-Hopkins had 17 points (eight goals, nine assists) and was plus-14 with nearly three SOG per game (45) over his final 16 games. He was also productive prior to the injury on the third line, finishing with 48 points (24 goals, 24 assists) in 62 games (82-game pace of 63 points). It's fair to expect 65-70 points from this breakout candidate if he plays anything close to a full season with McDavid at even strength and on the power play, especially if the Oilers rebound to their 2016-17 rate (22.9 percent; fifth). Kailer Yamamoto, RW (222) -- He's a dark-horse rookie this season and should be given every opportunity to crack the top six on a line with either McDavid or Draisaitl. He was held to three assists in nine regular-season games but showcased his potential last preseason with five goals (tied for the NHL lead with Winnipeg Jets forward Patrik Laine and Toronto Maple Leafs center Auston Matthews), mostly playing on McDavid's line). Yamamoto has been prolific for years with Spokane of the Western Hockey League with 291 points (105 goals, 186 assists) in 230 games. Keep an eye on his lineup placement in training camp and plan to target him in one of the final rounds of your draft. Oscar Klefbom, D - INJ. 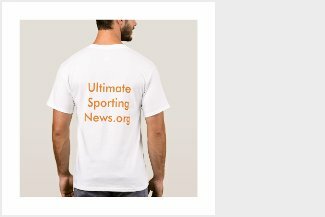 (236) -- There are plenty of defenseman candidates to quarterback Edmonton's first power-play unit with McDavid and Draisaitl, including Klefbom, Darnell Nurse, Andrej Sekera and prospect Ethan Bear. Klefbom played through a shoulder injury last season (shut down in March) and was held out of the 2018 IIHF World Championship for that reason. But with a full offseason to recover, the 25-year-old can bounce back to at least match his strong category coverage from 2016-17 (38 points: 12 goals, 26 assists; 16 PPP, 201 SOG) and feasibly exceed some of those totals if McDavid reaches greater heights. Klefbom likely will go undrafted in standard leagues but is one of the highest upside fourth-or-bench fantasy defensemen.